In support of the new season of its animated series ‘Mr. 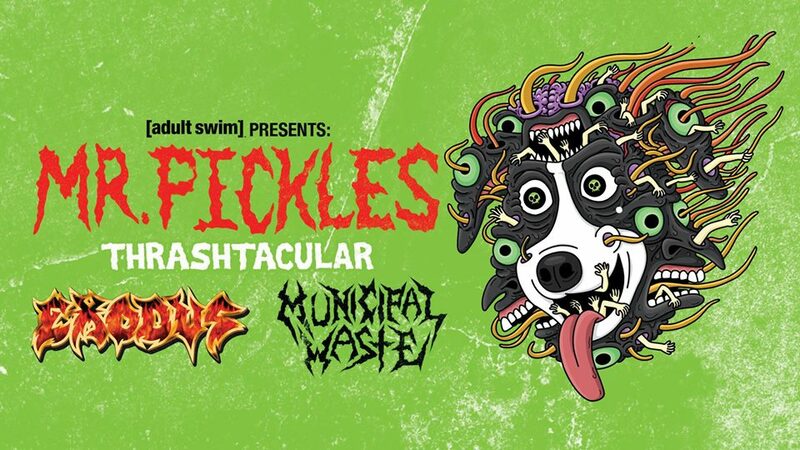 Pickles’, Adult Swim is bringing you the “Mr. 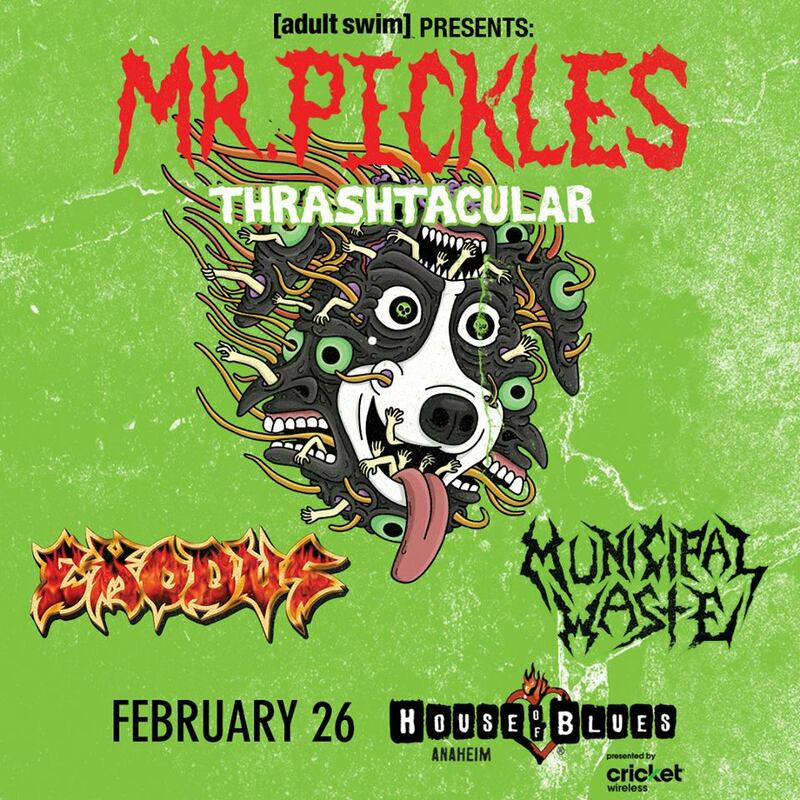 Pickles Thrastacular” music tour, featuring Exodus and Municipal Waste. The tour visits the greater Los Angeles area for a gig at the House Of Blues Anaheim on Monday February 26. Metal Assault in association with Live Nation is giving away eight pairs of tickets to the show. Please read the following rules, terms and guidelines, and enter the giveaway using the widget below. 1. Giveaway is open now through Sunday February 18 11:59 PM PT. 2. Winners will be picked at random and will be contacted via email on Monday February 19.